Learn how to remove the air hoses L210 and L200 Epson printers with steps to continución. The famous Epson L200, those printer that changed the perspective of the other manufacturers in the aspect that we have to give customers what they want. Leading printer for sale throughout Latin America, it is possible that these have problems with each passing day. 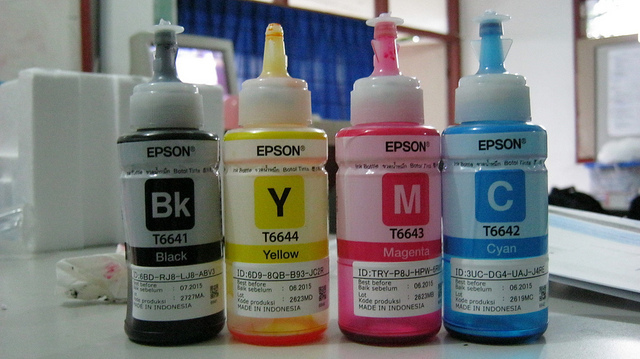 The following post works for models of Epson L110 / L800 Epson / Epson L200 / Epson L210 / L350 Epson / Epson L355 / Epson L555 printers have all these ink tanks factory, which with the passage of time as any other instruments present problems. In the case of these printers it is possible that the hoses are filled with air, when this happens we get the air hose, then you will see a number of suggestions to help you remove the air hoses and save the printhead. When air is remaining on the hoses Epson printers with ink tanks there exists a series of procedures to remove them, it is more advisable to have better knowledge to solve any problem and each of the printers is to do a little reading manual, you can get it on the manufacturer's website. 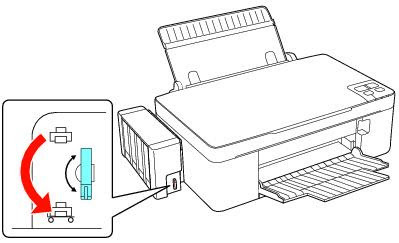 If we are unable to get the manual of these printers first thing you should do is check the safe transportation with the ink tanks, there is a lock with tanks which prevents ink through the printer. Usually it used when we ship the printer from one place now, so no matter which way the printer will not affect the operation or print quality move. If this lock is pointing downward printer prints, but will ink on pages or leave but very little. Hoses ink is not present ink in the part that goes to the printer, you must open and do a cleaning process so that the ink that should be in the hoses back to it. And after verifying that the transport lock is open, even opening it us next step is to thoroughly clean head on these printers. 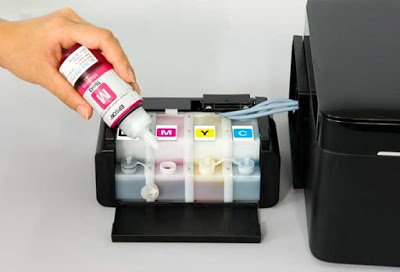 If hoses ink does not have enough ink either because the transport is closed or for any other reason the recommendation is to make a head cleaning thoroughly, any Epson printer including printers ink tanks have a procedure for make the ink reaches the head quickly and automatically. It's just a process that takes ink from the tank to the printhead, it serves despite wiping the ink nozzles to solve any problem related to the ink does not reach the head, you can see our link to make a clearance head and follow the procedure below. The link provided above is for Epson L200 printer but the same procedure for any printer with ink tanks, if this can not be solved by yourself contact the Epson support.